Four Star Solar's pre-wired and tested Mini Magnum MS4024PAE Power Center comes equipped with a Magnum Energy MS4024PAE 120/240 Sinewave Inverter, and a Mini Magnum Panel pre-assembled with a ME-BMK Battery Monitor. 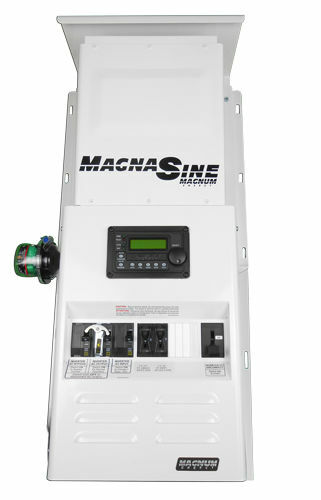 This power center is also available with a pre-wired Magnum PT-100 charge controller, Midnite Classic Charge Controller or the OutBack FlexMax 80 Charge Controller. 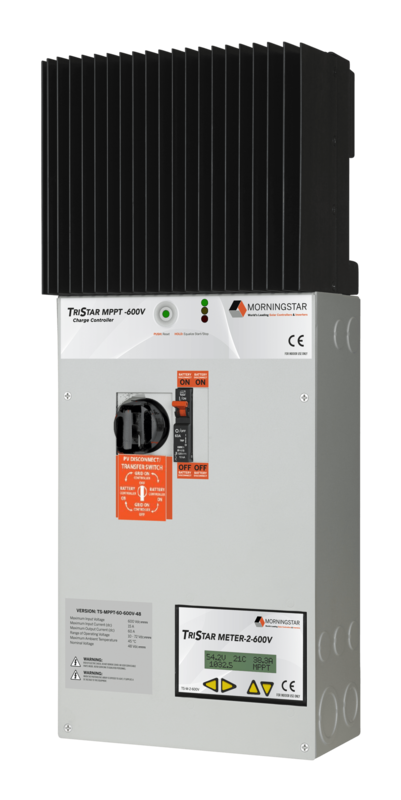 If battery backup is being added to an existing grid-tied system we recommend the Morningstar TriStar 600v controller. This controller is designed to accept input from a grid-tied 600v string inverter such as those available from SMA and Fronius, providing the ability to recharge batteries from your grid-tied solar array during a power outage. The TS-MPPT-60-600V-48-DB-TR controller is ideal for retrofitting battery backup onto any grid-tied string inverter system.